This class is intended for babies and new walkers ages 6 to 18 months. A parent or caregiver will be required to participate in this fun class with their child. Both parents are welcome to participate. Parents are taught techniques to enhance their child's comfort level in the water. Water Baby fundamentals include water safety knowledge and practices, front and back floats, water submersion, kicking, paddling, and lots of fun and play in the water. Our curriculum includes a variety of games, songs. Infants are required to wear disposable swim diapers. This class is intended for toddlers ages 18 - 36 months. Just like the Water Baby class, a parent or caregiver is required to participate in the water with their child. In addition to the skills taught in the Water Baby class, the focus will be on: swimming readiness skills, entering and exiting the pool, explore socialization while becoming comfortable and confident in the water. Songs, games and activities with advanced skills to teach your toddler to build confidence in the water and have fun! Disposable swim diapers are required for all children under the age of 3 - even those who are potty trained. At Suntatsic Swim School we recognize the importance of water safety and lessons for all children. We encourage you to explore our services when looking for a suitable experience for your child you may have special abilities. We have instructors with experience and training swimmers with special abilities. Swimming forces each side of the brain to work together, preparing a child’s brain to learn. Being in the water gives kids with special needs independence and confidence. Swimming assists these children physically, mentally and even emotionally, because they have a sense of belonging in a group. Autistic kids are visual learners and rely heavily on routines. Improves flexibility, coordination and range of motion. Strengthens and tones the muscles without hurting vulnerable joints. Increase the child’s self-esteem because s/he is able to forget about his/her limitations while learning new behaviors, skills and learning strategies in an environment that promotes success mixed with fun and play. This class is intended for those who are being introduced to group swim lessons for the first time or for those who are unsure of the water. Parent separation anxiety, fear of new environment or meeting a new swim coach may cause tears. Swimming fears & tears are quickly reduced in this encouraging and fun environment. Swimmers work on learning to properly breathe, face submersion, kicking, assisted floating on the front and back, the arm pull and basic water skills. We use fun games and songs to help your child become comfortable in class on their own with a swim coach. Please note: Parents are not allowed in the water. This class is intended for those whom have already taking the Starter I. class or had previous swim experience without a parent or guardian. Swimmers in this class will be introduced to the Suntastic Swim School "Wall" technique. Swimmers work on full face submersion, kicking, assisted floating on the front and back, the flip technique, the use of the arm pull and basic water skills. Swimming fears are quickly reduced in this encouraging and fun environment. This class is designed for children who have had success with the basic fundamental skills and/or have taken a Starter class. Children must be comfortable with full submersion and being in a class situation without a parent. Students will begin to understand and demonstrate the streamline position, assisted & unassisted floating, turning over, flutter kicking and other fundamental swim skills. This class is designed for children who have had success with the basic fundamental skills and/or have taken Rookie I. Students will understand and demonstrate the streamline position, assisted & unassisted floating, turning over, flutter kicking and other fundamental swim skills. The competitive swim strokes, the freestyle and backstroke, proper stroke development will be introduced while the swimmers endurance is built in the pool. Games and toys are used to make the learning process fun and engaging. This class is for children who have comprehended the skills taught in the Rookie class while holding a streamline position on front and back. This group is for swimmers who can float on both their back and stomach with ease, perform proper flutter kick, and can swim independently with ease. Students focus on big arm strokes (freestyle) with rollover breathing and beginning backstroke. This class is for your swimmer(s) to get the stroke drills and strokes down right vs. a regular USA swim practice where swimming laps back in forth is mainly emphasized. Learning the early stages of proper stroke progression and technique before joining a USA swim team is very important. If not caught early on, swimmers can develop bad habits and in the future risk possible injuries. Too many times we see swimmers sign up for USA swimming too soon!!! This group is offered for children of the ages 5-12 years year old. who have a good amount of swim lesson experience including being able to swim a length of the pool. 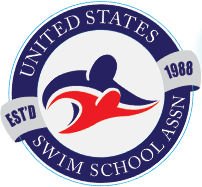 This program concentrates on stroke technique, endurance, starts, turns and finishes and prepares the children either on a USA swim team or for those going toward joining a USA swim team by preparing them to be able to compete or improve in swim meets. One more prerequisite: swimmer must be able to HAVE FUN!